And edelweiss has an interesting listing for a Star Wars Visual Encyclopedia set for April 2017 from DK books. The 360 page hardcover is 11.9 in H x 9.9 in W and will be $40. No cover or author yet. In fandom news, the SWAT community is coming to an end on August 31st. SWAT (Star Wars Action Team) was a Del Rey Star Wars Fancorps site where fans could upload pics of reviews and photos to earn points toward cool Del Rey Star Wars swag. There’s still a bunch of cool stuff you can get and a month to try and snag it. Here’s the official posting from the site. First and foremost, we want to thank you for all the support and effort you have put into this community, sharing your passion for Star Wars books. You exemplify the very best parts of the larger Star Wars family of fans. Unfortunately, we’re sad to say that next month will be our last, and the SWAT community will be going offline at the end of August. As a result, as of August 31st you will no longer be able to access the Star Wars Action Team. Please be sure to head over to the rewards page and purchase your much-deserved SWAT merchandise. We encourage you to spend your reward points and complete any open tasks before the last day of the month. Any orders and outstanding rewards submitted before August 31st will be fulfilled to the best of our ability. We certainly hope you enjoyed your time here. You may keep in touch with us on our social properties below, we want to hear from you and keep you engaged as part of the fan community. StarWars.com has a nice roundup of the SDCC Star Wars news. It’s one of the most expensive movies ever made in China. It stars Matt Damon. And there are monsters. The Great Wall comes out February 2017. Check out the trailer. There have been a lot of war films, but I’ve never seen one with this angle. Most pacifist stories don’t include a soldier who never fire a shot and won the medal of honor for his bravery. Hacksaw Ridge could be a winner, and it’s directed by Mel Gibson. It’ll be out in November. M. Night Shyamalan is back and this time with a psychotic thriller starring James McAvoy in 27 different roles. Split will be out in January 2017. Fresh out of SDCC is the new trailer for Doctor Strange which will hit theaters in November. This trailer is much better than the first. There’s a new trailer for The LEGO Batman Movie which will be out in January 2017. For the Harry Potter fans, there’s a new trailer for Fantastic Beasts and Where to Find Them which will be out in November. I’m a big fan of Guy Ritchie films and this looks to be the most imaginative take on King Arthur I’ve ever seen. King Arthur: Legend of the Sword will be out March 2017. Also out in March of next year is Kong: Skull Island. Then there’s the trailer for Justice League which will be out in November 2017. Last but not least is the trailer for Wonder Woman which will be out in June 2017. 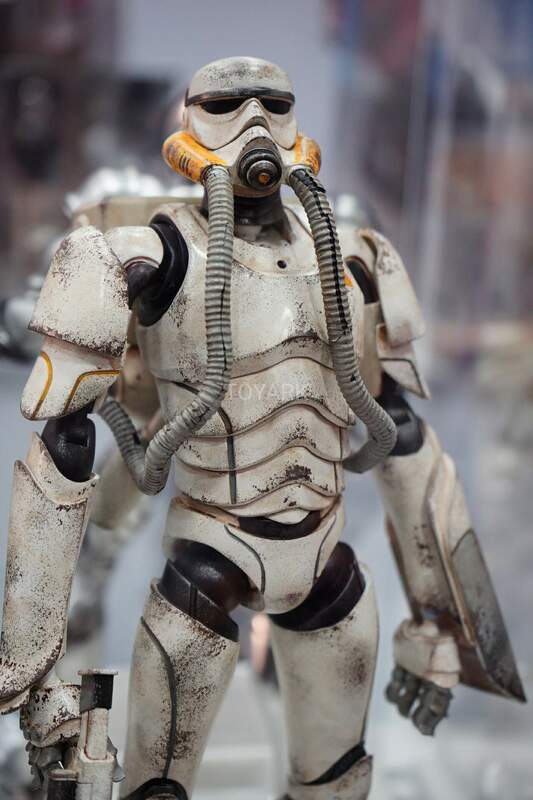 Sideshow showed off their upcoming Death Star Gunner Sixth Scale figure. Bidding has begun on the customized Biker Scout Helmets. Get your bids in before it’s too late. Hasbro revealed their new figures at SDCC. Toyark has a nice roundup of pictures and some more here, here and here. According to Yak Face, Hasbro is planning on selling their remaining SDCC exclusive figures on August 9th. 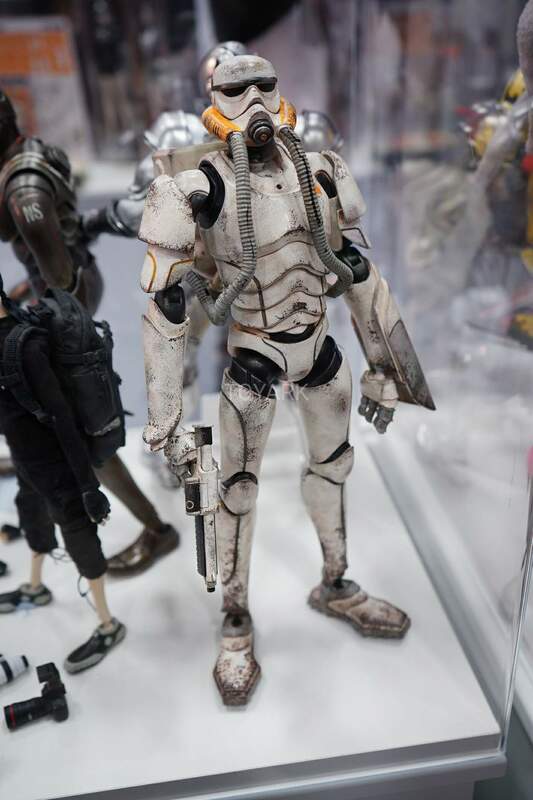 3A Toys also showed off their Tomorrow King Droid Trooper. Not really my thing, but it’s out there and it is Star Wars’ish.